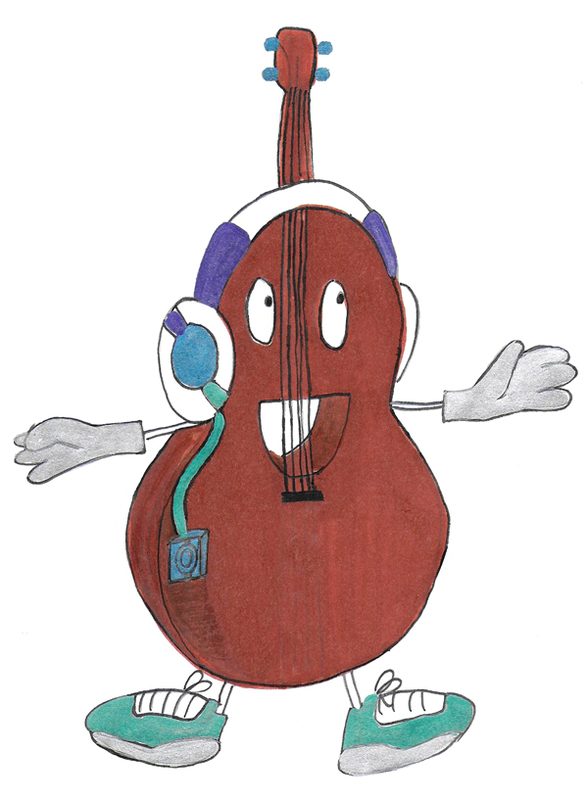 Ukulele Club Members - Please Share This Link To Your Club Leaders! 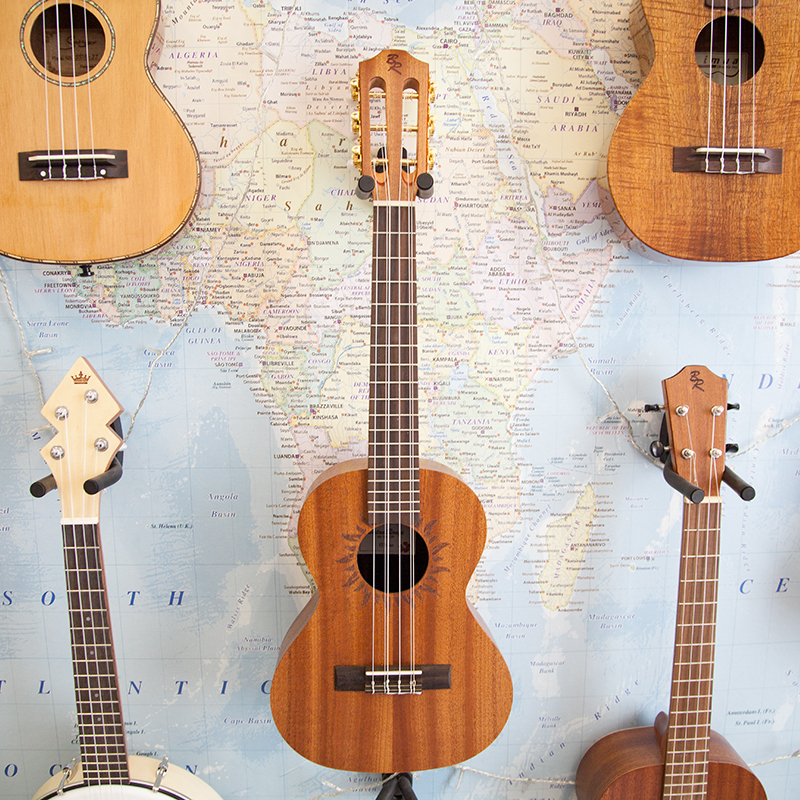 World of Ukes is proposing a discount scheme and referral programme for ukulele clubs, giving club members a small discount for purchasing ukuleles, with a percentage of all total sales payable to your ukulele club each quarter. The cashback can be spent as you choose - charitable donations, club equipment or whatever you wish. Each club registering would be supplied with a unique discount code which would give players the initial discount and allow me to calculate the cashback due. A supply of cards with the code and scheme details would be mailed to allow club leaders to advertise the programme to members. 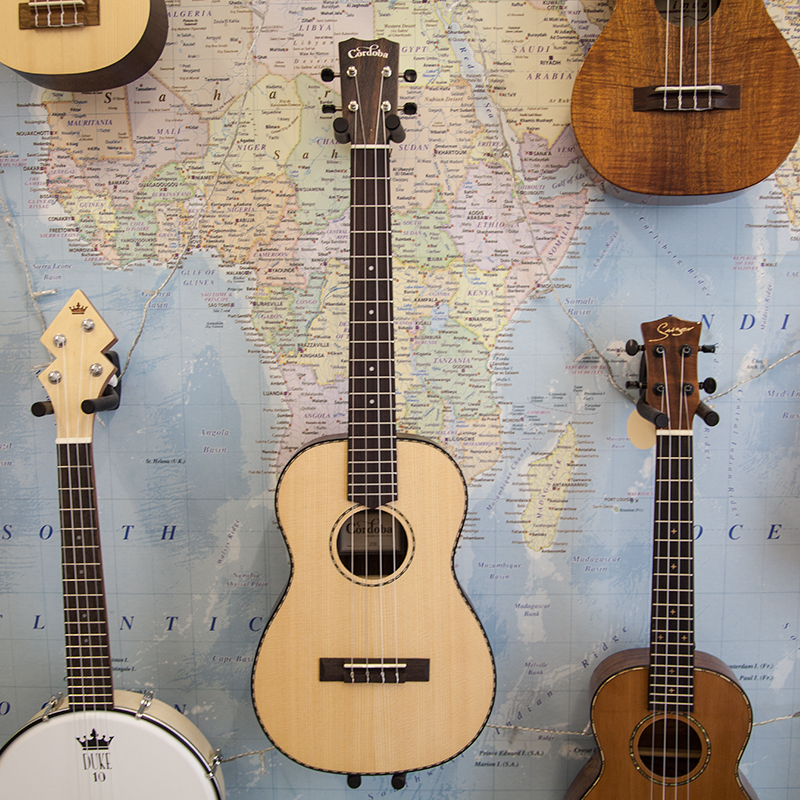 Of course, as a specialist retailer, those who purchase a ukulele from World of Ukes will be choosing from a selection of trusted brands and models, with inspection, set-up and free UK delivery included. If enough interest is registered in the scheme, it will go ahead. 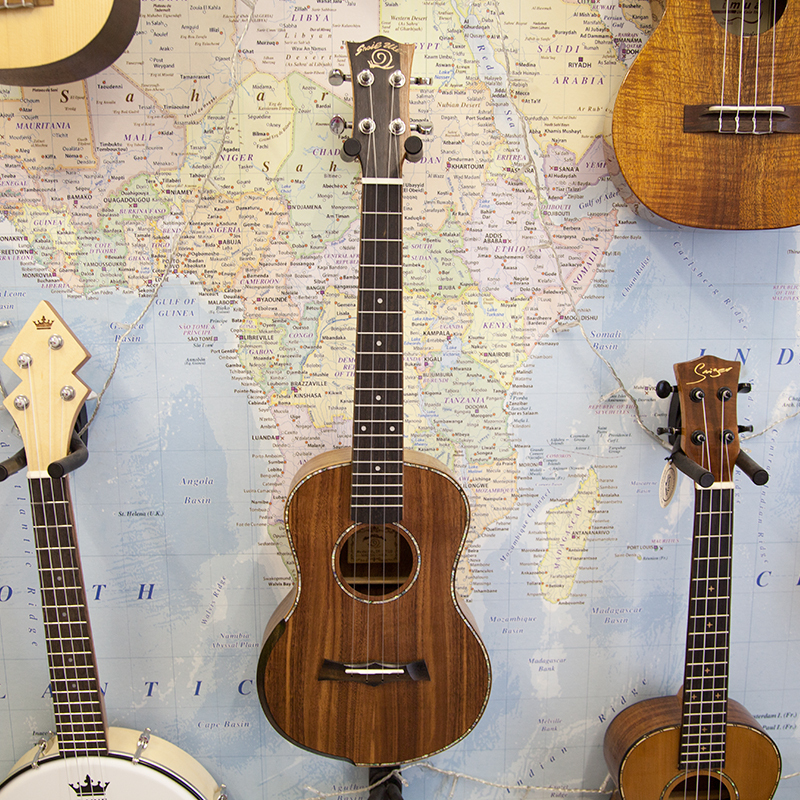 From the World of Ukes perspective, it is vital in an age of internet giant retailers with offshore tax arrangements, that as many ukulele players know about the store as possible. So, it would be most appreciated if you can mention the scheme in your club! Your e-mail will only be used to communicate about this scheme. In Issue 17 of UKE Magazine, you have the opportunity to win a Shima ukulele, designed by virtuoso Jake Shimabukuro. If Jake hadn’t been a musician, what career path would be have followed? We’re working with a travel company on a potential new event, to take place in June 2020. This would be a magnificent 5 night cruise on the Danube, aboard our own chartered vessel, the MS Serenity. By day, there’d be chance to explore jewels of Europe like Budapest and Vienna, while at night, the full board trip would have entertainment and tuition from ukulele artists, the opportunity to play together and learn at including workshops. We’re just ‘floating the idea’ at present, but would appreciate it if you thought it sounded like something you might be interested in, you could let us know using the form below. If there’s enough interest to raise the anchor, we’ll use these details to keep you up to date on prices and timescales! To be in with a chance of winning a blue Flight travel ukulele, as advertised in UKE Magazine Issue 16, answer the question below. 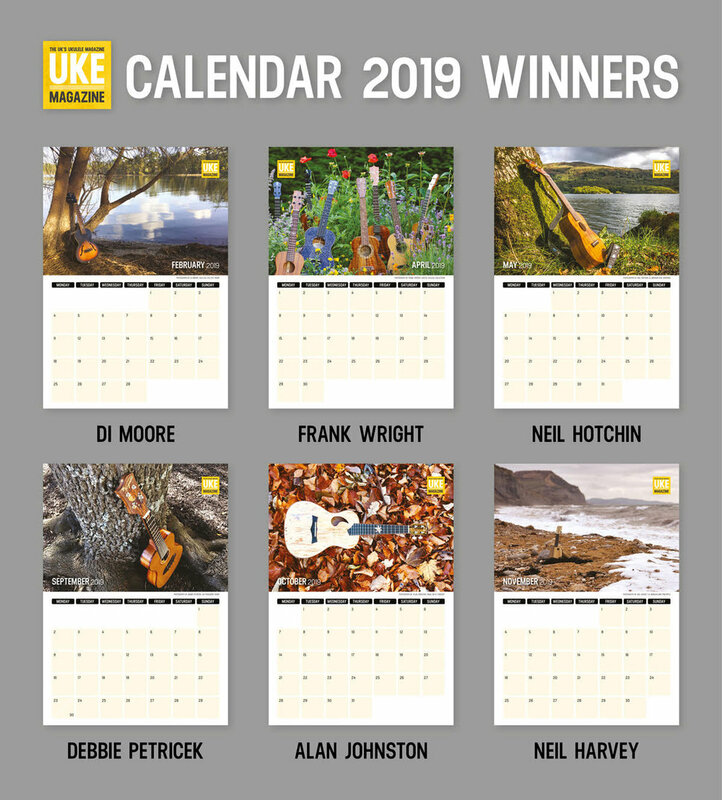 In Issue 15 we advertised a competition asking for readers to submit their best ukulele photographs to be considered for entry into the UKE Magazine 2019 calendar. The calendar design is now finalised and it is available to order from our Magazine Shop. Congratulations to all the winners and thanks to all entrants, with winners listed below. A video showing Issue 15's exercise 'Downward Spiral', to give you an idea how to play it using the music inside the magazine. Plastic Jeezus have made this handy tutorial for Issue 15 (September 2018). Simon from the band has prepared this video to go alongside the chords and lyrics which feature in the magazine. We'll soon have the prototypes for a concert and tenor size World of Ukes exclusive model, based on the Moon Bird series, but stripped back a little in terms of decoration - making them more affordable while still sounding great. To be the first to get news on completion, and get early bird pre-order offers on this limited edition exclusive, complete the form below. Check back daily for the new deals or see them on our Facebook Page. Offers are listed below the picture. Kala KA-SPT-SC Electro Tenor, with Fishman PRO-MAK-INF pickup - £120 OFF (Please note - allow a few days before dispatch while pickup is fitted). Kiwaya KSU-1L Long Neck Soprano Ukulele - FREE SNARK TUNER (Please note - the Snark will not show up on your invoice, but WILL be included). UKE Magazine has teamed up with Logjam to offer a song competition inspired by the theme of Spring! The competition will be judged by the three members of The League Of Ukulele Gentlemen, and entries must be in by the end of April 2018. On offer to the winner is fantastic Logjam Travelog stompbox, giving you rhythm while you strum! The winner will also receive a care kit for your new instrument, plus it will be personalised with your name! * To enter, record your song on video and send an email or private message with a link (preferred), or post it to the UKE Magazine page. It will be featured/shared to the main UKE Magazine Facebook page in due course. * Worldwide entries allowed - but the Logjam prize can only be sent in the UK. In the event the winner is from outside the UK, the winner will get a year's UKE Magazine subscription, and the stompbox will go to a UK runner-up. * Original songs and covers are allowed, but must have a connection to the theme of 'spring'. The judges have final say on whether the song fits the theme! * All recordings MUST be made for this competition - entering something previously recorded is not allowed. * All recordings MUST mention the video is for this competition, either spoken at the beginning of the video, or mentioned in a caption. * Your video can, but doesn't have to feature you playing and singing. * No instrumentals for this competition please - it's too hard to say they connect with the theme. * Other instruments are allowed but videos must feature ukulele prominently. * Groups can enter, but only one prize is given. In Issue 13 of UKE Magazine, I have shared an arrangement of Pachelbel's canon. While you can play it at any speed you fancy, and interchange the different sections as you wish - this is how the original version would sound if you stick rigidly to my arrangement. KALA ELITE UKULELES NOW HAVE 35% OFF! These handmade all solid Hawaiian koa ukuleles from the USA are rich-sounding, neatly made and very playable instruments, with a wide neck that gives you more space for your fingers. We have 5 different models available with this discount. USE THE DISCOUNT CODE MATTISFORTY at the checkout to activate the discount! 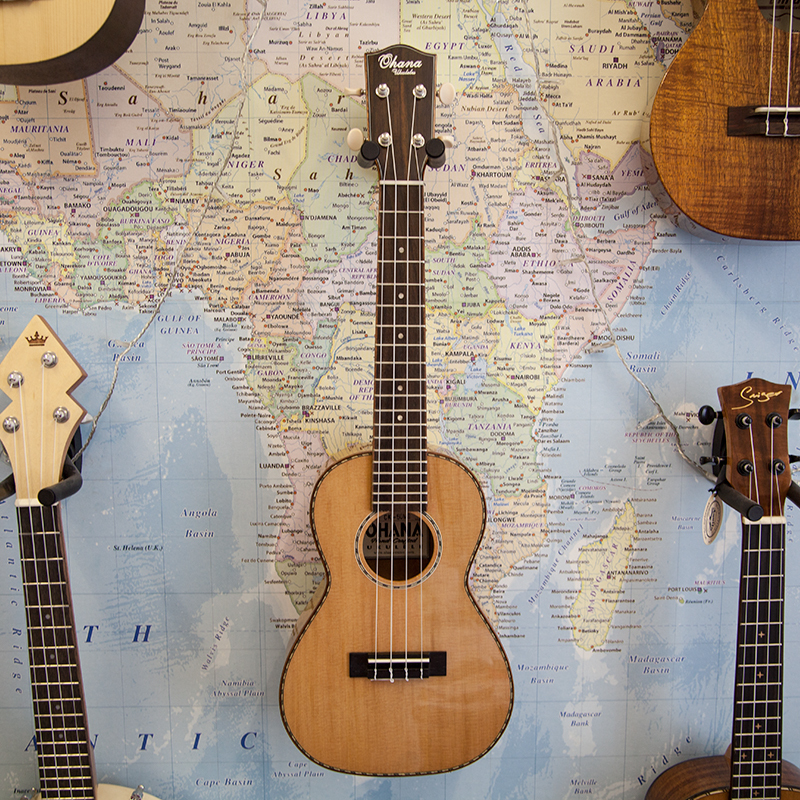 Imua Ukuleles Back In Stock - Just Look At These Beauties! 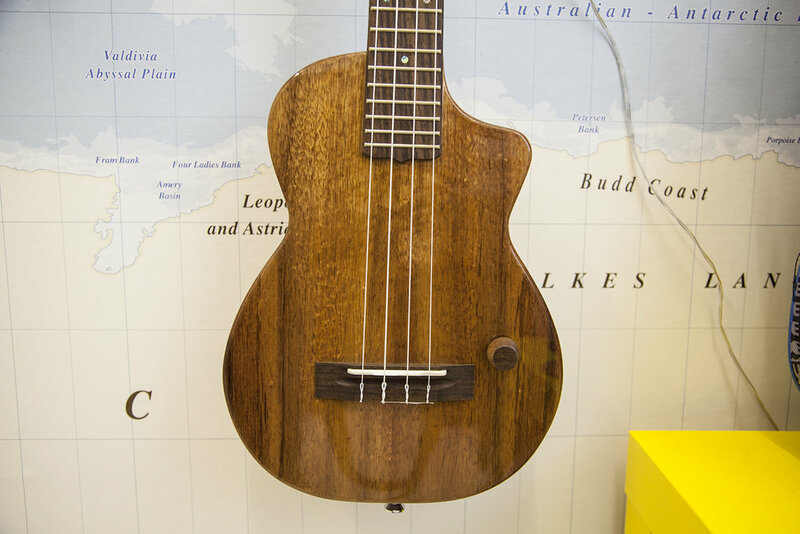 Imua Ukuleles Back In Stock - Some of the most beautiful ukuleles in the world! Imua ukuleles, all made from superb quality Hawaiian koa. A tenor cutaway uke has also arrived, wow! 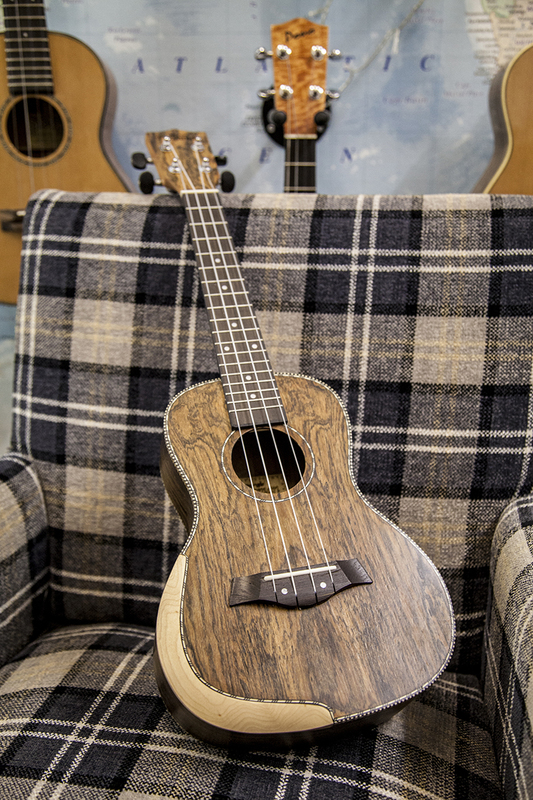 We've had chambered body Imua tenor electros in before, but not with gloss finish and koa top - even more beautiful than before. 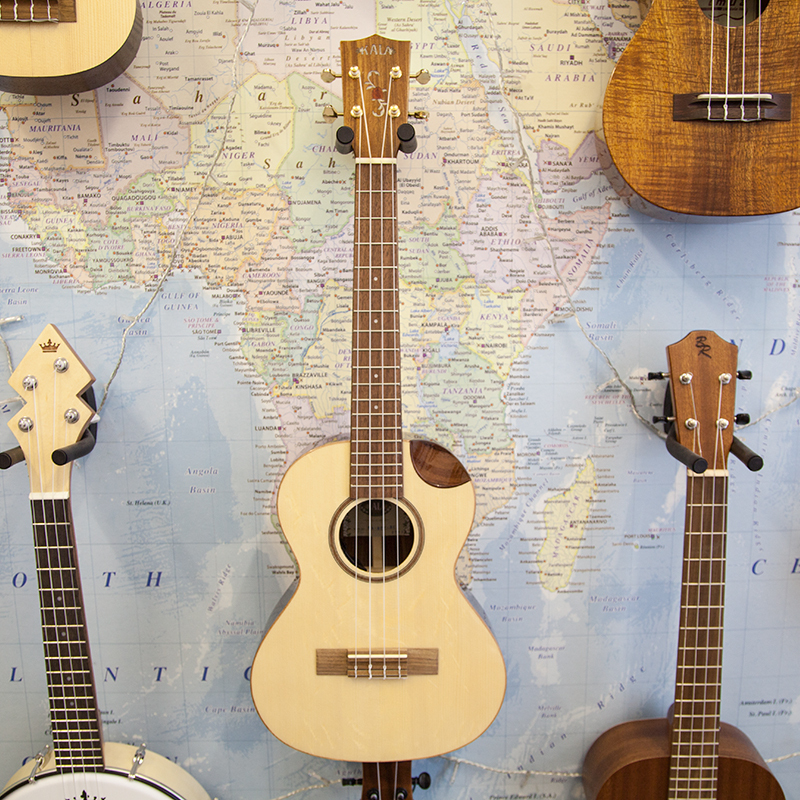 Imua's fantastic long neck soprano ukulele and traditional Hawaiian soprano uke are now both back in stock too. In Issue 8, Sam Muir gives readers the chance to tackle the piece, 'The Rakes of Mallow', with her arrangement in ukulele tab. You can view her accompanying notes here.